Size : 23.7 x 17.8 inches. / 60.3 x 45.1 cm. Description :Important Asia map of V.M. 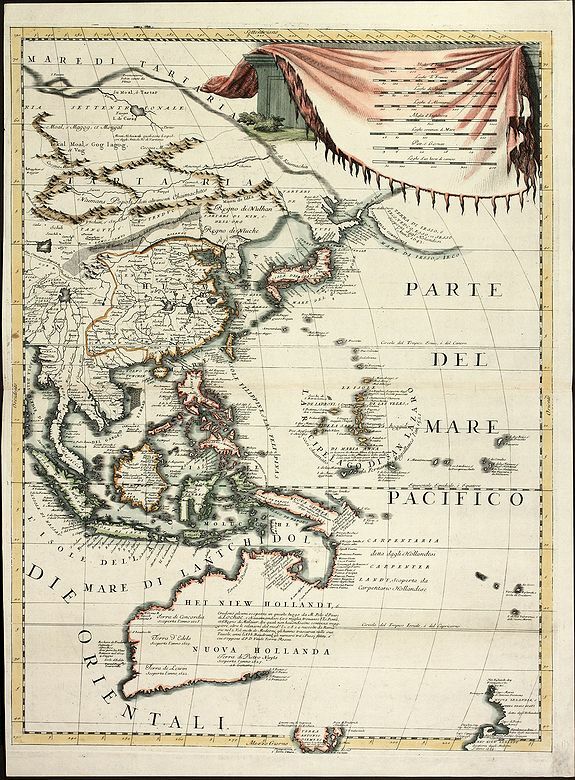 Coronelli showing SE Asia with Japan and parts of Australia and New Zealand. Many discoveries around Australia are described with dates, place and discoverer. The map was intended as double sheet map, this is the important eastern sheet. Condition : Small left margin, excellent conditions in nice colours.